Dan was on Good Morning America on Monday to continue covering the case of Oscar Pistorius, the South African Olympic runner charged with murdering his girlfriend. New photos of the crime scene were presented as evidence in court. It is hoped that these photos will give some insight as to what really happened. Pistorius claims that he mistook his girlfriend for an intruder, the prosecution claims that it was premeditated murder. 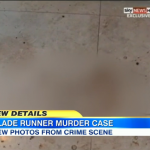 From the photos, it can be assessed that the crime scene was not taken care of properly. One can only wonder what these photos will do for the prosecution’s case. Dan says, “Number one, the leaking of the photos, certainly not helpful. It will come up. It’s certainly not devastating. The more difficult issue is number two, which is what the photos show. If it’s true that that is a footprint of one of the police officers, it is incredibly reminiscent of the O.J. Simpson case. That is exactly the defense we saw in the O.J. Case; put the police on trial, they completely contaminated the scene. As a result, you can’t trust anything found at the scene.” For more, watch the segment here.